Of course on the same day I blogged about not having any good recipe ideas, I came up with what I’d like to think is a pretty decent tofu marinade. I know a lot of people aren’t tofu fans, but as a vegetarian, the big ‘ole block of soy is a really versatile way for me to get some extra protein. As long as you have a good marinade and cook it properly, I think it can be really delicious. Up until this point, my favorite was this Spicy Peanut Baked Tofu, which is easy, but not extremely versatile. I’ve never really used tofu outside of stir-fry styled dishes or egg replacements, but I’ve seen plenty of seasoned and marinated tofu “steaks” in stores, so I figured I would try my own. One thing I’ve noticed in most vegetarian recipes that attempt to be meat replacements, is the use of soy sauce. So, I went to my pantry, grabbed a whole bunch of spices that I thought would go well together and soy sauce, and got mixing. This can be thrown together in a matter of minutes, and the beauty of a marinade is that the longer it sits, the better it winds up tasting. I served these tofu “steaks” with some brown rice, black beans, and salsa. I think it would probably be equally as delicious on a baguette with sautéed onions and peppers… I’ll definitely be trying that next! 2. Press the excess water out of the tofu (for at least 10 minutes). If you don’t have a tofu press, a big cookbook with the tofu between two plates will work – just make sure you have a towel under it! 3. In a bowl, mix together all of the marinade ingredients (soy sauce, liquid smoke, and spices) and pour into a shallow baking dish or tupperware container. 4. Slice the tofu in half long-ways, and then in half again so you have 4 rectangular pieces. 5. Place the tofu in a single layer in the baking dish with the marinade, and let sit for 15 minutes. After 15 minutes flip to the other side, and allow it to sit for an additional 15 minutes. 6. Place the tofu on a greased baking sheet and bake for 30 minutes, flipping half way through. 7. Serve with rice and beans for a Southwestern flare, enjoy on a baguette, or by itself! 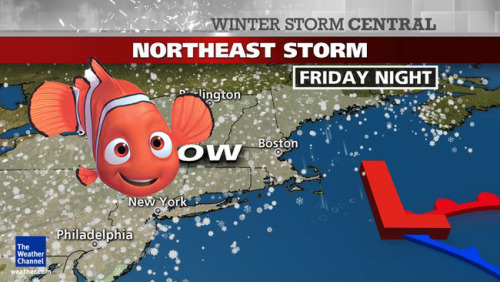 I hope that everyone survived winter storm Nemo! I celebrated my mom’s birthday AND 6 month vegetarian anniversary on Friday by sitting inside anxiously awaiting the skies to open and dump snow on us. It was a welcomed day on the couch (working, of course) after taking an evening Bikram yoga class the night before. It was my first class, and since I bought a 30 class card, I will definitely be writing about it in the future! Despite the not-s0-great weather, I did make a mean mac ‘n cheese that I wanted to share. For anyone that knows me, they know that menu planning is something I really enjoy doing; you can find me scouring the internet (mostly blogs and Pinterest) and cookbooks most days of the week looking for inspiration for meals weeks in advance. I’m usually thinking about my next meal before I’ve finished the one in front of me! I make the recipes as instructed a decent amount of time, but I often tweak a few things based on what I have in the house, or my personal taste preference. It usually isn’t enough of a change to warrant a blog post about it, but every once in awhile I do take a recipe and really make it my own, using the original more as a loose guide and inspiration. So, when I found Budget Byte’s Jalapeno Popper Mac ‘n Cheese, I knew immediately I was going to make it. I just didn’t know until about half way through that I was going to change a lot of it. Baking macaroni and cheese is awesome. Who knew that adding a little bit of breadcrumbs and throwing it in the oven for a few minutes would add so much texture and flavor to such a simple kitchen classic! Using three different kinds of cheeses may seem like overkill to some, but to a cheese lover like myself, there’s no such thing as too much! The cream cheese definitely kicks this over the top (I need to cook with it more). This version isn’t spicy (to me), so if you want to kick it up a notch feel free to add more jalapeños or some other kinds of peppers. It’s a perfect recipe for a cold winter night (which we’ve been having a lot of recently), or to bring to a potluck. You won’t see this on any “skinny” or “diet friendly” lists, but it’s definitely something you should make and enjoy (in moderation of course). 2. Bring a large pot of lightly salted water to a boil. Add the pasta and cook according to the package. 3. As the pasta cooks, make your cheesy roux by combining the oil and garlic first in a sauce pan over medium-high heat, cooking for 1-2 minutes. 4. Next, add in the milk, parmesan cheese, and cream cheese. Cooking until the cream cheese is melted and everything is combined. Add the Greek yogurt and jalapeños. 5. Drain the pasta, and add it back to the original pot. Pour the cheesy jalapeño mix and 1/2 cup of the Panko bread crumbs over the pasta and stir to combine. 6. Fill a greased 9×9 baking dish with the macaroni and top with the remaining 1/4 cup of bread crumbs and shredded cheese. 7. Bake for 15 minutes, or until the top is starting to brown. Let it sit for 3-5 minutes before digging in! When my husband saw that I had “Shepherd’s Pie” on our dinner calendar for the week, he asked me what it was. After I gave him a general description, he immediately replied with, “and WHY haven’t you made this before? !” Of course, I didn’t have a good response, but promised that the dinner would be good… with my fingers crossed behind my back. Yes, you read that correctly – I have a “dinner calendar.” I use Google Calendars; I have a bunch of my own personal calendars, as well as a few that are shared. Included in the list of shared is a dinner calendar, which allows me to plan out what we’re going to eat for the week based on our schedules, prepare a grocery list, and have a reference so I know what’s coming during the week. In our old apartment, we had a cute little whiteboard that I used to write it down on like a menu, but when we moved two years ago, I never hung it back up – so I switched over to Google instead. It may seem a little over the top, but it works for me. I’m a huge planner and I enjoy seeing everything scheduled and written out, even if I shuffle things around all the time. While a typical Shepherd’s pie is made with meat, I left it out in my version (though I’m sure some ground beef, chicken, or turkey would go well here). I also decided to put a Southwestern twist on it since I’m obsessed with the flavors. The reason why I even thought of making this was due to the string beans we got in our CSA box. At first I figured I could just serve them as a side, but I wanted to do more with them. After trying to think of dishes they were included in and trying really hard not to just make a giant batch of green bean casserole for dinner, I settled on the Shepherd’s pie. So yes, this “Southwestern” version has green beans in it. I wasn’t sure if it would work for or against me with everything else (corn, black beans, salsa, etc. ), but I’m happy to report everything played nice in the casserole dish. The beauty of a Shepherd’s pie is that you can really throw in it whatever you have on hand, top it with mashed potatoes, and call it a day. Since I used instant mashed potatoes, everything came together in a matter of about 20-30 minutes. This was definitely a winner in my book, and I hope you think so too! 2. Meanwhile, heat the oil over medium-high heat. Once heated, add diced onion and jalapeño, and sauté for about 5-10 minutes, until onions begin to become translucent. Add the spices and cook for an additional 2-3 minutes. 3. Once everything is well combined, add the corn, black beans, tomatoes, green beans, and salsa. Lower your heat to medium, and cook for 5-10 minutes, stirring every so often. 4. Meanwhile, prepare your instant mashed potatoes per the package directions (i.e. add 2 cups of water to the flakes, microwave for 2-3 minutes). Once the potatoes are done, add 1/4 cup of the shredded cheese. Set aside. 5. Add the mixture to a greased 8×8 baking dish. Top with the other 1/4 cup of shredded cheese, then spoon the mashed potatoes on top of that. 6. Bake for 10-15 minutes, until mashed potatoes are set. A few months ago at a street festival in my hometown, one of the speciality fresh food stores, Alan’s Orchard, had a booth that I stopped by. In addition to picking up a loaf of pumpkin chocolate chip bread (which was SO good), I signed up to be on their CSA waiting list. I know a lot of other bloggers participate in CSAs that are local to them, but I found they were less common in suburban New Jersey than I liked. So even though I was only signing up for the waiting list, I crossed my fingers that someone would drop out, but didn’t get my hopes up. Fast forward to July, and I got a call from the store that they had room for me in their “Fresh Box” program! Since we were on vacation when they called, I was afraid by the time I got back to them they would have already moved onto the next person. Thankfully they hadn’t, and I was able to pick up my very first box this past Friday. The program runs from May to December and provides you with a (giant) box of seasonal fruits and vegetables weekly (you can choose from three pick up days), and the box comes with a ton of information (instructions for the best storage, recipes, and general information on the fruits and veggies) all for $25! They also offer add-ins that you can purchase like farm fresh eggs, cheese, and other goodies. The store also partners with a local wine shop in town to offer weekly wine and beer selections, too! Needless to say this program is a veggie lovers dream. This week’s haul included giant jalapeños, an eggplant, four ears of corn, tomatoes, two kinds of peaches, rainbow chard, pickle cucumbers, green cabbage, onions, and tomatillos. I typically meal plan mid-week and shop on Sunday or Monday for the week, but obviously now that I’ll be picking up these goodies every Friday, that has to change. I’ve got grand plans for it all, though. Sunday was grilled salmon with peach salsa, Monday was spicy mushroom and eggplant tacos with salsa verde, Tuesday was a rainbow chard frittata, and tonight is falafel in a cabbage wrap! You can bet I’ll be sharing the recipes soon. I can’t wait to see what each week brings! Do you have a CSA program near you? Do you participate?